Here are some of the most recent clients we have worked with and the types of projects we have worked on for them. My Lifestyle Protein - We worked with a large manufacturing company to develop a shopping cart website for their new protein brand. Being an online shop, this website was a bit more challenging than other websites, however we worked with the management team to create an effective website which offers select products, along with great protein recipes. We also created a new product logo and labels for the protein tubs and sachets. Beauty On The Oaks - We developed a website for a new beautician business. We worked with the business owner to bring her business to life on line. We sourced images and created the look and feel she desired. We also linked the website to her on-line booking system to allow a streamlined service. Melbourne Pressure Cleaning - The owner of Melbourne Pressure Cleaning came to us with an issue with his previous website. He'd paid a fair amount of money for the site and was not getting the service he was promised. Every change was costing more money, and he was completely unsatisfied with the site, the service and the costs involved. We developed a new website for him, along with a logo, and he was more than impressed with the results and the service. He even gave us a 5 star review on Google. Jewel Developments - We developed a website for this new architectural and building company. We worked with the business owners to develop all of the content for the site and create a style that was in keeping with the company branding. We also established a Facebook page for them so they can promote their business to a wider audience. Hystress Timber and Trusses - We created a new website for this company, taking them from a tired old three-page website into the 21st century with new content and images, and search engine optimisation. Dromana Social Golf Club - Thanks to some external funding, the committee was able to finally upgrade the way it communicated with its members by developing a website which they would be able to update with match news, captains report and up coming games. We worked with the committee to develop a user friendly website and rework the club logo. 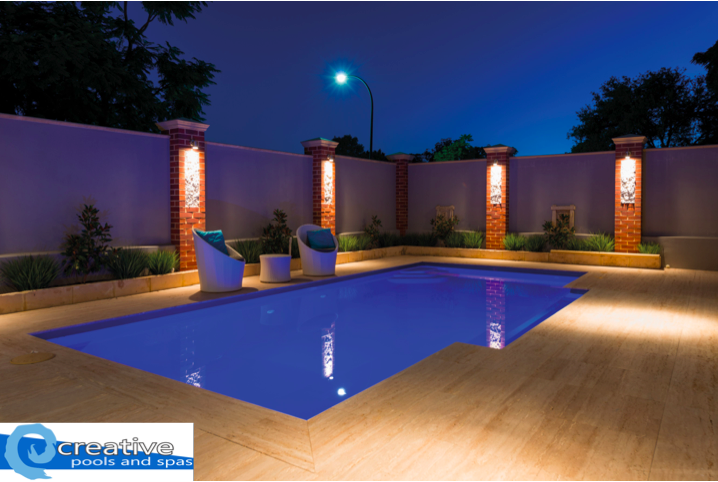 Creative Pools and Spas - Out of the Box Consulting worked with the owners of Creative Pools and Spas to create a website for their expanding business. This included developing content, design and layout and search engine optimisation. We created social media accounts for the business and provided social media training, however we now manage their social media for them. We have also conducted a business planning workshop with the team and continue to work with them on marketing and promotion for their business. 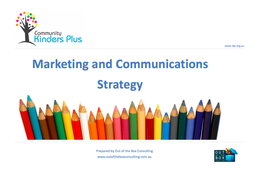 City of Port Phillip - We worked with the City of Port Phillip to design and develop its Internal Communications Strategy. Moonee Valley City Council - Out of the Box Consulting delivered a marketing workshop for small businesses in the area as part of the Council's Small Business Workshop series. Paramount Nutrition﻿ ﻿- We have been working with Paramount Nutrition since the beginning of 2014 and have helped them to recreate content for their website making it more user friendly. We also work manage their social media, assist with in-store promotions and events, and prepare blogs and e-newsletters. 3X Personal Training - Out of the Box Consulting worked with 3XPT to develop new content for its website. The content has been designed to connect with people with varying levels of fitness, different ages and different fitness goals. We also manage their social media accounts and have developed a number of promotional videos. City of Casey - We have worked with the City of Casey for the last two years to conduct some on-site research to gather data to help improve processes and efficiencies. Social Media Training - We have provided various social media training courses for small businesses including children's fashion closing stores, real estate agents, psychologists, health food company and others. The Boathouse Restaurant - We love working with the team at The Boathouse Restaurant to provide ongoing social media management, e-mail marketing campaigns, advertising and editorial promotions. Rangers Run Cottages - We worked with the owners of Rangers Run Cottages to redesign a new website for their farm stay accommodation . Out of the Box Consulting created a new look website including photography and content making it a fresher more appealing website for people looking to stay on the Mornington Peninsula. We have also helped them with PR when they recently won the 2017 Recognition of Excellence from Hotels Combined. Community Kinders Plus﻿ - A not-for-profit community organisation which manages 21 kindergartens throughout Frankston and the Mornington Peninsula. Out of the Box Consulting developed an internal communication plan and marketing strategy for CKP and have provided ongoing ongoing marketing and communications support since 2014. Each year CKP hosts a Family Fun Day to engage with current and future kindergarten families. We develop and implement the event marketing strategy, prepare flyers, posters, media releases etcetera to ensure the day is a huge success. ​We have also worked on a fundraising campaign to help raise much needed funds for vulnerable children and families who attend kindergartens that are managed by Community Kinders Plus. Mornington Peninsula Shire Council - We worked with Mornington Peninsula Shire on its Waste Management Strategy community engagement program "Let's Talk Waste". Out of the Box Consulting developed all of the communication materials for the project including newspaper ads, stakeholder surveys, fact sheets, website information, scripts for videos and media releases. Monash University Faculty of Marketing - Nicola volunteers her time to work with first year marketing and business students at Monash University Peninsula Campus.